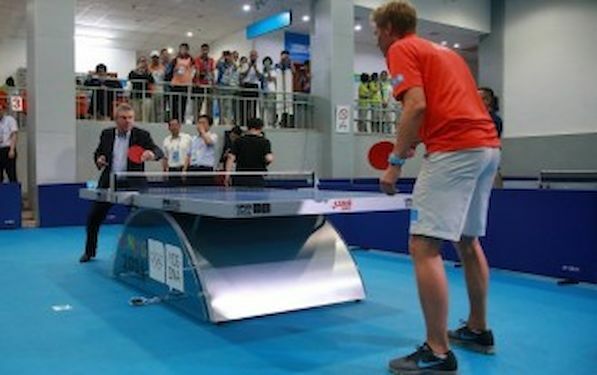 International Olympic Committee President Thomas BACH got a chance to refine his table tennis skills during his visit to the Table Tennis event at the Nanjing 2014 Youth Olympic Games, held at the Wutaishan Gymnasium. BACH received a private lesson from 1991 World Champion and seven-times Olympian Jorgen PERSSON (SWE) in front of hundreds of onlookers in Nanjing. After impressing the crowd with his deadly forehand, President BACH met the Youth Olympic Games Champions, FAN Zhendong (CHN) and LIU Gaoyang (CHN) to congratulate them on their achievements in the Singles event and wished them the best of luck for the future. President BACH was so impressed with the level of play from the current senior world number three FAN Zhendong that he promised to personally award him with the gold medal if he becomes the Olympic Champion at Rio 2016. In addition to interacting with the Youth Olympic Champions, BACH also spent time speaking to bronze medalists Lily ZHANG (USA) and Hugo CALDERANO (BRA) who won the first (Youth) Olympic medals for their respective continents, as well as Brian AFANADOR (PUR) and Tamolwan KHETKHUAN (THA). The Table Tennis event was seen by 35,457 spectators and over 100,000 people tuned into the IOC’s YouTube channel to watch online, which is the most of any sport at the YOG.  Inspired by the meeting with President BACH, the Chinese Team of FAN/LIU went on to win the Mixed Teams gold medal, beating Japan 2-0 in the finals on Saturday 23 August 2014.